I'm right in the middle of the ANG Seminar in Anaheim, CA right now and having a ball. Two days of my class Pinkletoes are finished and we still have two days to go. Today is a break in schedule. I hope to get around to doing a post just about Seminar but we'll see. For some reason when my fingers are stitching they can't be typing - hmmmmm. The rice stitch is featured this week. This stitch is so easily adapted to all kinds of situations. It can be made much larger and cover any square or rectangular shape. Yes, it can be other shapes also, but those require a little more fiddling with. The stitch can also be crossed multiple times depending on the length of the cross-stitch legs that are being covered. Another option is to use different thread colors or textures in the crosses to add yet another look. Have a great day and I'm going to go down to the shop or book store and get into some trouble! Today would have been my Daddy's birthday. Yes, I always called him Daddy. He has been gone over 35 years now and I still miss him terribly. I am packing today for my trip to Anaheim to teach at the ANG National Seminar. I will be teaching my sweet bunny, Pinkletoes! She is so fun and it will be a great class. I'm anxious to see friends I only get to see once a year. It is always a treat and a blessing to remingle again. And, of course, make new friends too. Every now and then I like to include some tips for my tips pages in my Sampler Notebook. This week I am sharing some suggested colors and threads for hair coloring for different races. These are not, of course, all inclusive, just some suggestions. We all have stitching that contains groups of people from time to time and are looking for ways to differentiate one from the other. Hope this helps give you some ideas the next time you are confronted with that situation. The stitch for today is in the eyelet group. There are some many uses for this stitch. My favorite is for clothing and things like table linen or curtain edgings. 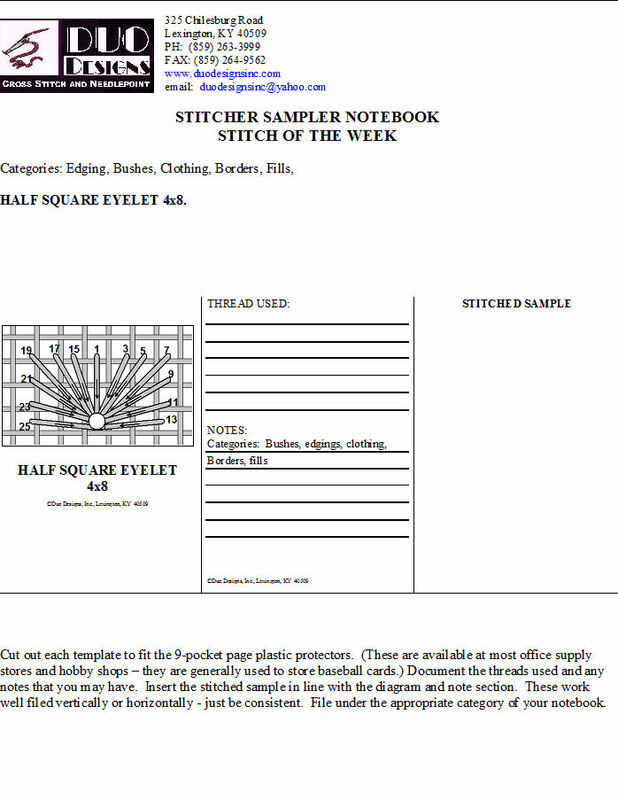 The half-square eyelet is one that all even-numbered stitches share the center hole. This eyelet can be easily enlarged by simply increasing the number of threads covered. For instance, instead of covering 4 threads increase the coverage to 6 threads. Don't forget to expand out each side as well. For a light, lacey look use very fine thread - say one strand of Impressions, or one or two strands of Splendor Silk. If heavier coverage is desired, of course, use heavier thread. 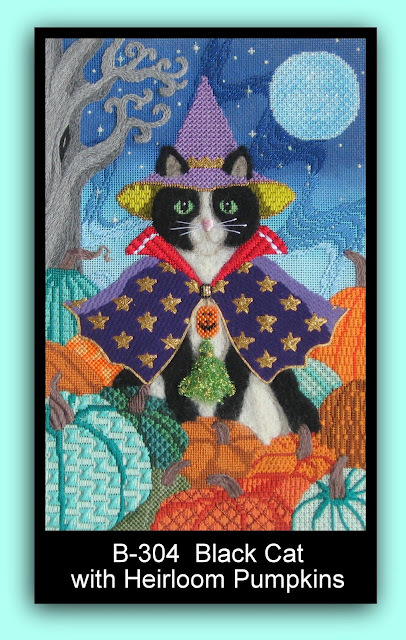 Brenda recently introduced a wonderful halloween design called Black Cat with Heirloom Pumpkins B-304. 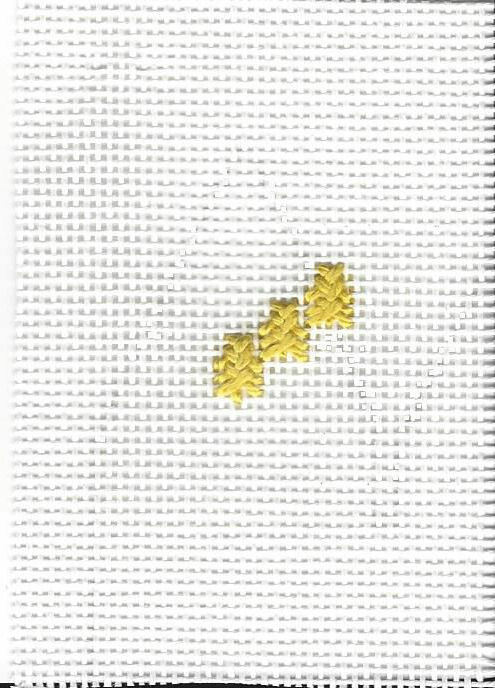 I was fortunate to get to create a stitch guide for this piece. This is also a teaching piece that is offered to shops that sponsor national teachers - namely - ME! I really can't decide what my favorite part of this design is, but, I do love the tree and the sky! When I saw this design I immediately thought of a wizard and therefore had to give my stitch guide the title of Wizard of Paws! I know, but I just couldn't help it. The design is chocked so full of everything! The threads I used are amazing. There are threads by Rainbow Gallery such as Splendor Silk, Silk Lame (I don't know how to put that little thingey over the 'e' on my blogspot), Petite Very Velvet, Fyre Werks,Neon Rays, Glow in the Dark, and more; Kreinik braids and the Micro Ice Chenille; Burmilana - love it! ; Pepper Pot Silk - a dream to work with; Caron Watercolours and Impressions - my new top 10 favorite; ThreadworX; Gloriana; Planet Earth; Vineyard Silk; High Cotton - can you believe this treasure? Embellishments are always great fun for me. First, Mr. Wizard is needle felted. I used the wonderful tools that are manufactured by Clover: the felting brush, individual needles, multi-needle holder, roving, etc. And the beads! Those are from the Sundance collection. Love their beads and colored beading thread. 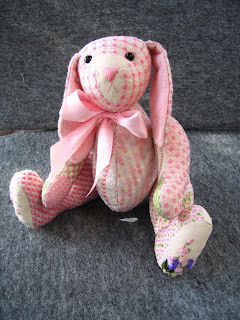 Techniques include needle felting, packed stem stitch, brick beading, tassel making, bargello, half-Rhodes, cashmere variation, mosaic variation, pencil star, nobuko (always nobuko), upright cross, diagonal mosaic - and on and on. 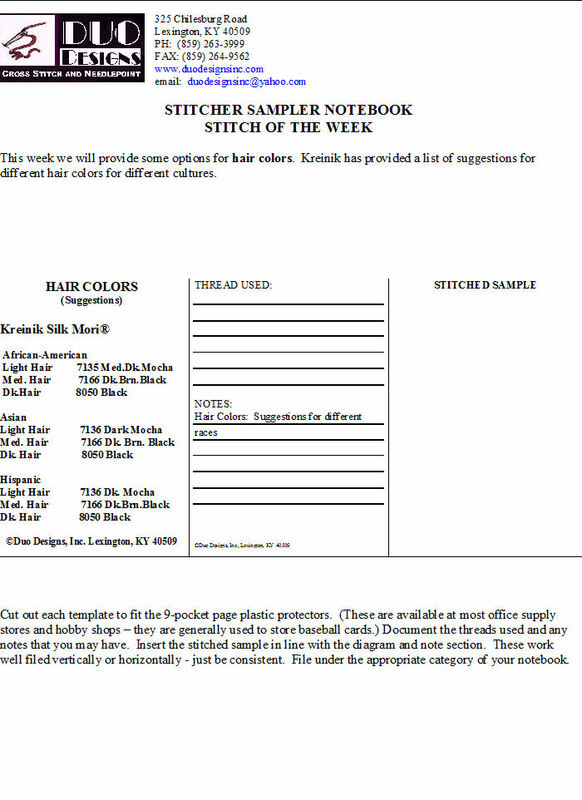 Check with your local needlepoint shop to order your beautiful canvas and stitch guide. Also inquire about interest in their sponsoring a class! I would love to come share with you face-to-face. 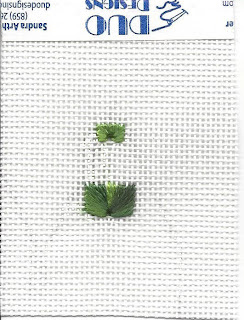 I hope you who get this piece enjoy stitching it as much as I did. It was great fun to see each area develop! 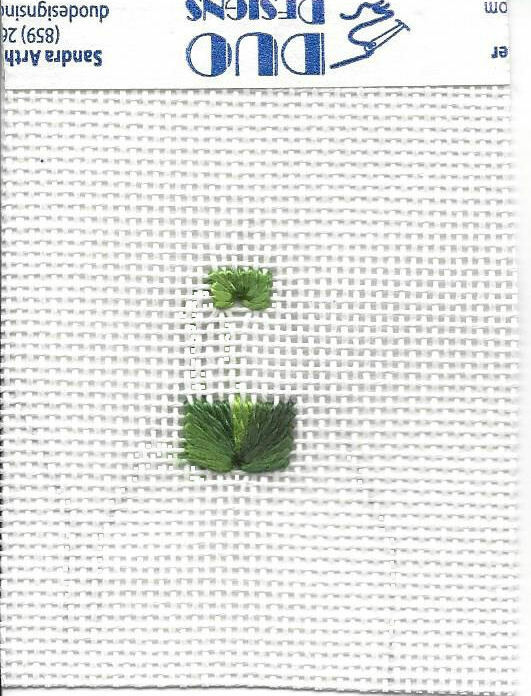 Have a great weekend and remember to stitch with a smile. I knew it was going to happen! I knew I would forget to post a stitch and I did just that. I have to SLOW down! 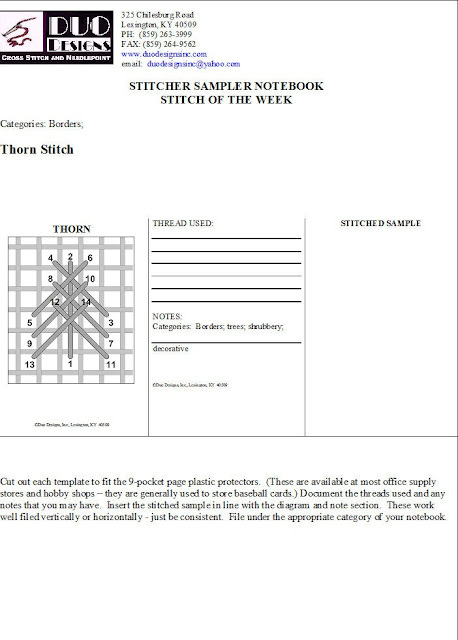 This week's stitch is the thorn stitch. 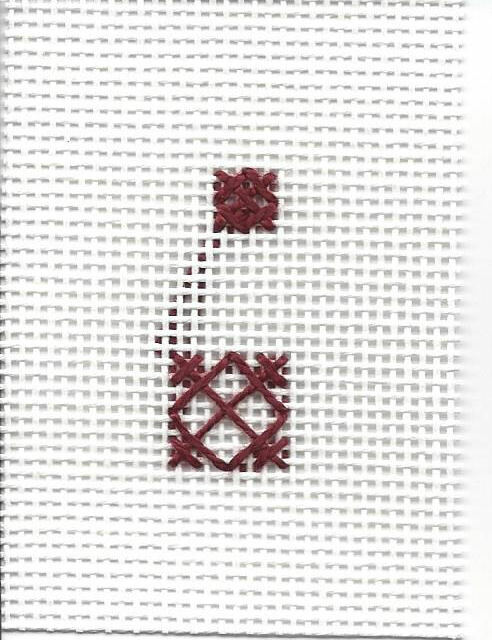 This is a good filling stitch. It provides very full coverage. One must note that stitches 12 and 14 between the previous stitches. Great for those diagonal lines and borders. Did you know that The Stitching Studio and Gift Boutique in Richmond, VA (PH: 804-269-0355) is hosting a club for all the Abby characters? 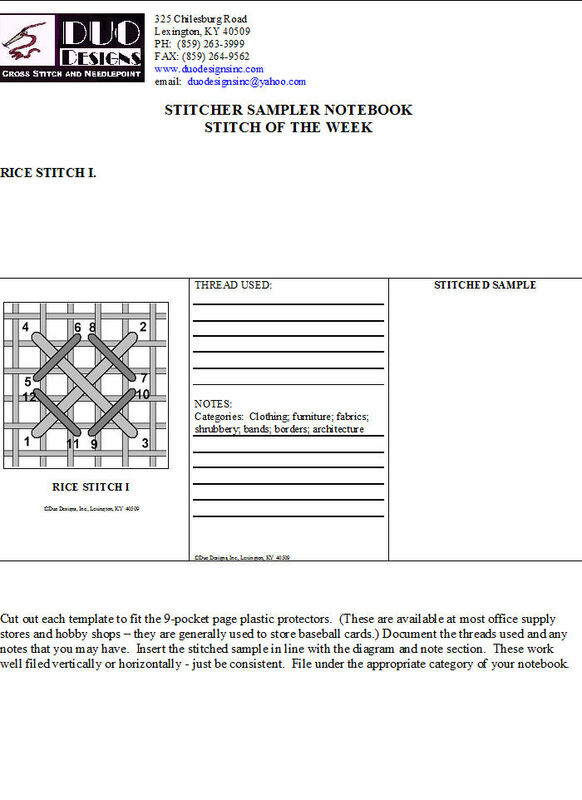 And, I was fortunate to be asked to create the stitch guides! How fun. There are currently six characters that have been released: The Dowager; The Earl; The Scullery Maid; The Valet; The Head Housemaid; and The Countess. There is also an exclusive character to club members. Are you ready for this one? It is Sybil in her harem pants! She is sooooo cool! Club members get a painted canvas and stitch guide. The thread kits are optional. Can't get much more accommodating do you think? 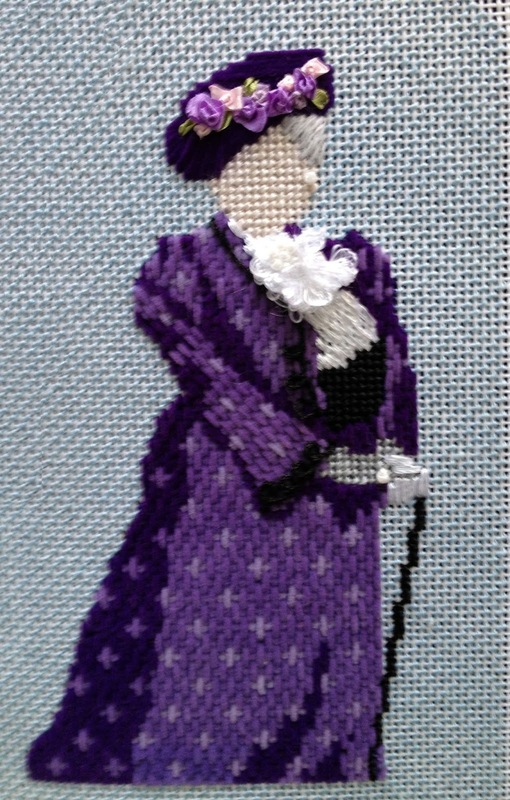 The first character kit to be released on September 1 is The Dowager. Who else! Right? The designer of this series, Rogue Needlepoint, chose to not include facial features. I can certainly understand why. How could you ever capture that wonderful look that The Dowager shoots across the room in such a small space on a canvas? They have captured her 'attitude' wonderfully in this small piece and it is great fun to stitch. The canvases are approximately 6" x 9" on 18 mesh and work up very quickly. These would be hard to lay aside for the UFO bend if you are a fan! Be sure to get your name in the pot and join the fun!